Closer to Mexico’s northern border and on into Texas, you’re entering a carnivore’s paradise. It’s cattle country through and through, which also has led to some fine beef dishes, both Mexican and Tex-Mex. Think sizzling fajitas, burritos and tacos to name just a few. 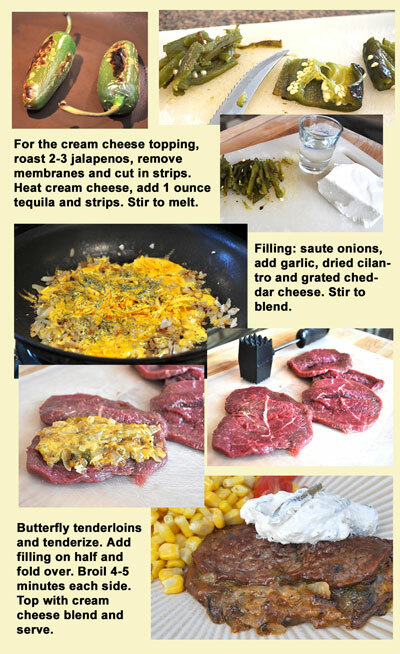 My stuffed steak with tequila cheese sauce is relatively simple to make. Roasted jalapenos add their little kick and the Tex-Mex slips in with grated cheddar as part of the filling. On top, heated and softened cream cheese gets all dressed up with a touch of blanco tequila aided by the color of pepper strips. In the background, you can add sides of fresh corn, pico de gallo, cherry tomatoes and a host of other favorites. If you just want a hearty meal, go ahead and serve with frijoles refritos and flour tortillas. Affordability comes in the form of chuck tenderloin steaks, about one-half inch thick. In our area, you can get four of them for just over four dollars. They’re perfect for butterflying (tenderized at this point), then stuffing with sauteed onion and melted cheddar. Under the broiler, they’ll cook in no time, which makes them a time-saver, too! 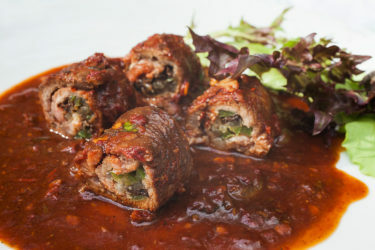 It all comes together with very little effort, and you’ll have an fine meal your guests won’t find in any restaurant. 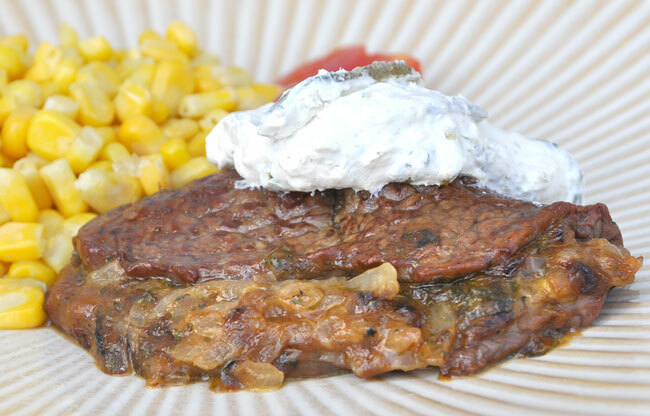 –Butterfly the tenderloins, tenderize, and set aside in the fridge. –Add 1 Tablespoon oil in skillet and heat. –Stir in diced onions and saute until just clear. –Blend in crushed garlic cloves and dried cilantro. –Remove from heat and stir in grated cheddar cheese until melted. –Add portions of the mixture to one side of each tenderloin and fold over to cover. –Set the oven to high broil. –When ready, add the steaks and heat for about 4-5 minutes, each side. –Spoon tequila cheese sauce (see recipe below) on top and serve. –Heat a smaller saucepan on medium and add cream cheese. –Stir continuously until melted, but still chunky. When it bubbles, turn to low. 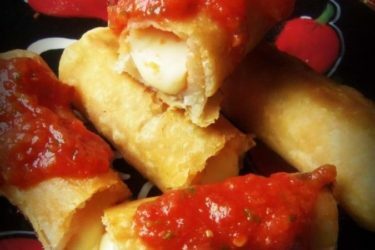 –Add roasted pepper strips and tequila. –Continue stirring while tenderloins are broiling; top the steaks and serve.